On April 9th Mashable.com reported that Twitter Acquired Tweetie, however this evening when I checked for app updates on my iPhone I found Tweetie 2 had an update with a “Surprise!”. 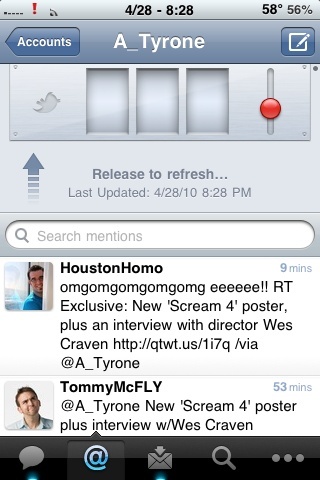 When I launched the app and refreshed my timeline I found a new working “Slot Machine” addition. 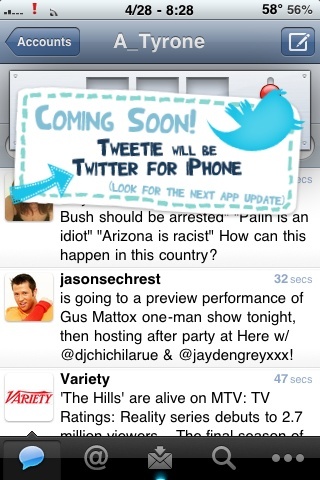 Below are two screen shots of this little Easter Egg of sorts, and below my screen shots is the full Mashable article on the acquisition of Tweetie. Twitter has just announced that it has acquired Atebits, the company behind the popular Tweetie iPhone app and Mac desktop application. Twitter also specifically mentions that an official Twitter iPad app is indeed coming: “Developers, services, and publishers will be able to leverage the Twitter iPhone and iPad applications to create additional innovative tools and integrations for users,” Williams said in today’s announcement. The move comes less than a week after a controversial blog post from Twitter investor Fred Wilson, Principal of Union Square Ventures. 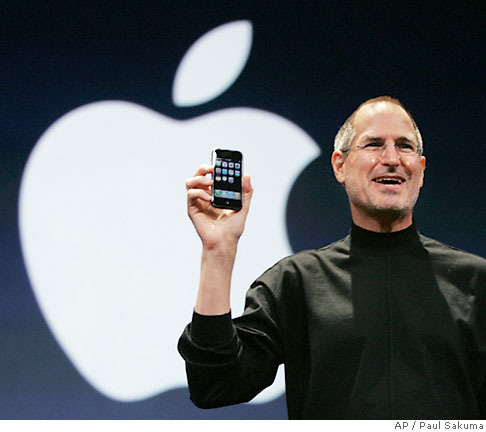 In it, Wilson explained that he is looking for Twitter apps to not fill holes in the Twitter platform (e.g. photo sharing, mobile apps) and instead focus on innovative products and “killer apps.” The post caught the attention of developers, who feared that Twitter itself would begin competing with their applications. There are many fans of various Twitter clients but HootSuite seems to be a very clear choice for many Social Media/Marketing professionals. A good portion of “Tweeting” is done on the fly and those of us that are iPhone users may (or may not) have been utilizing the new HootSuite iPhone application. 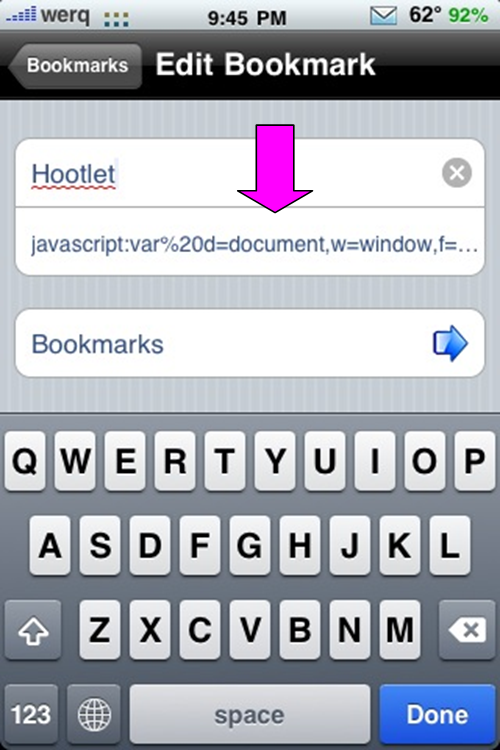 The current functionality does allow the user to copy a URL from Safari then paste it into a tweet and use the ow.ly shrinking button to shrink the URL so it can be tracked using Hootsuite; what it does not provide is a Safari bookmarklet for easier URL shortening straight from the iPhone’s browser. I have figured out a way to do just that and would love to share the process for those interested. There are a few steps and it’s really not overly complicated. 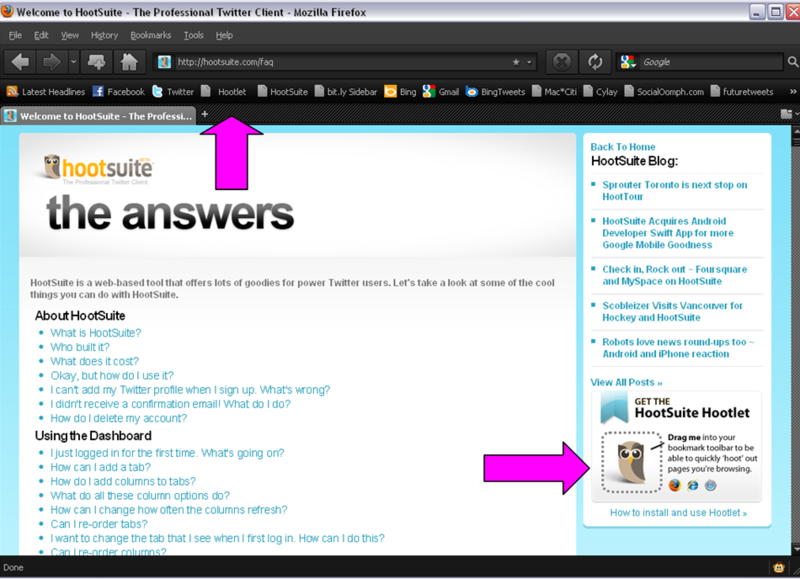 1) Make sure you have added Hootsuite’s “Hootlet” to your browser of choice on your PC, laptop, etc. 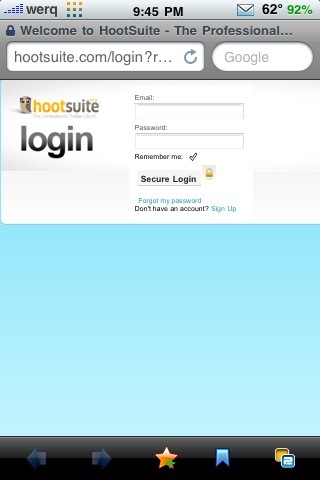 & make sure you are logged into HootSuite. 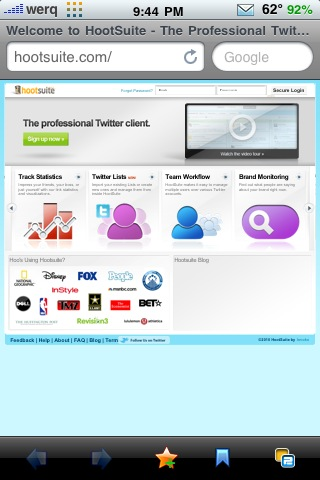 2) Once added, right click the “Hootlet” and from the menu choose Properties. 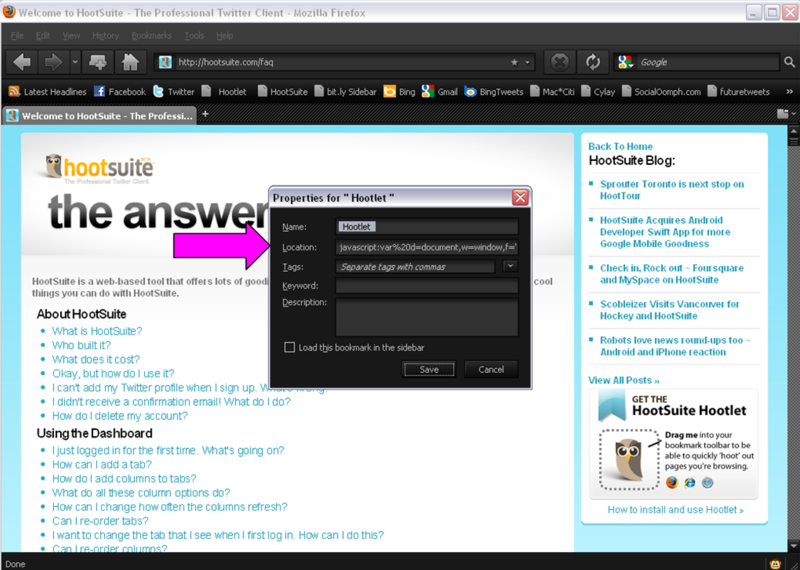 3) You will see in the Location field the address used for the Hootlet. Copy the entire string and email it to yourself so you can access it from your iPhone. 4) Open the email with the java string from your iPhone and copy the entire address then open Safari. From Safari, open HootSuite’s homepage. 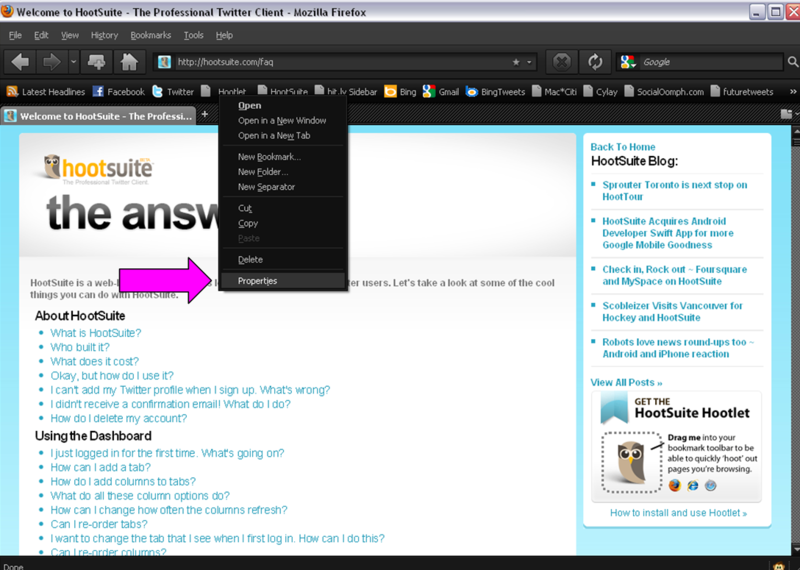 6) After you have added the HootSuite bookmark choose “Edit” from the Safari bookmark menu. 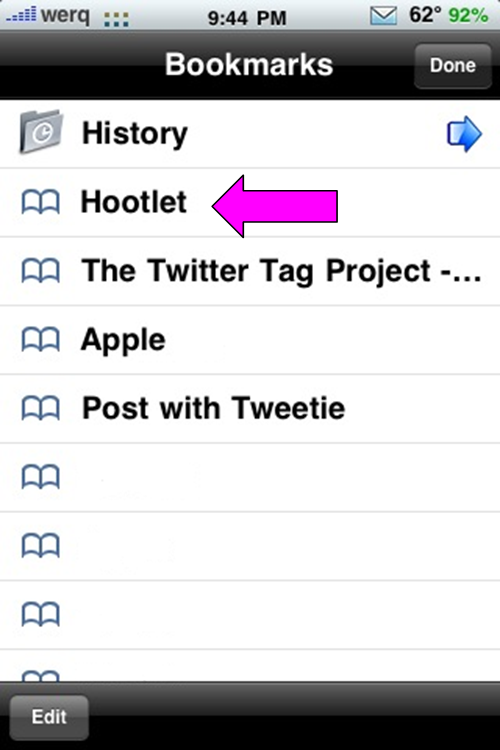 Change the Bookmarklet name to “Hootlet” (to avoid confusion), delete the current URL and paste the java string you copied previously into the address line. Tap Done to save. 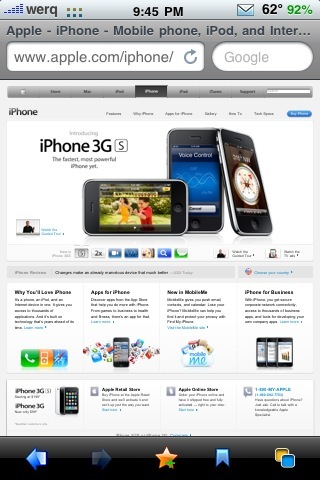 1) Open a new page in Safari on your iPhone and navigate to any site you’d like. 3) This will open a new page (you may need to log in the first time using your HootSuite credentials) that looks just like the typical “Hootlet” “Create New Message” window. 4) Make any adjustments you want, choose the social network to update and send. 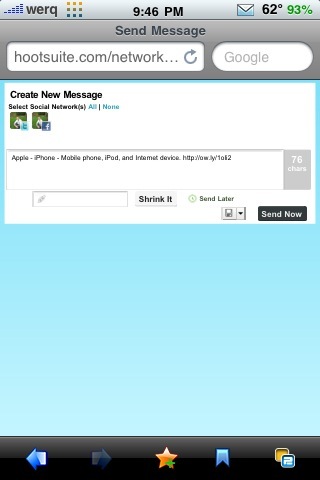 This will allow the iPhone users of Hootsuite to streamline the entire process of posting from Safari.